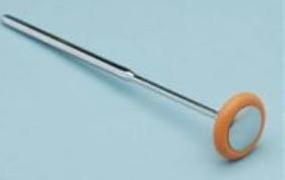 Babinski type patella hammer with octagonal chrome handle with pointed tip. Head may be used in horizontal or vertical positions. The hammer is 22cm long. Head may be used in horizontal or vertical positions.